Farafina fantasy writer Nnedi Okorafor is author of one of the Best Books of The Year So Far in Science Fiction & Fantasy. The book, titled Akata Witch is a story of twelve-year-old Sunny, an albino who lives in Nigeria but was born in America. She’s a terrific athlete, but can’t go out into the sun to play soccer. There seems to be no place where she fits. And then she discovers something amazing – she is a “free agent,” with latent magical power. Soon she’s part of a quartet of magic students, studying the visible and invisible, learning to change reality. But will it be enough to help them when they are asked to catch a career criminal who knows magic too? The award-winning author is of Nigerian descent known for weaving Africa culture into creative evocative settings and memorable characters. Nnedi holds a PhD in English and currently is a professor epics of creative writing at Chicago State University. “There’s more vivid imagination in a page of Nnedi Okorafor’s work than in whole volumes of ordinary fantasy.” Says Ursula K. Le Guin. 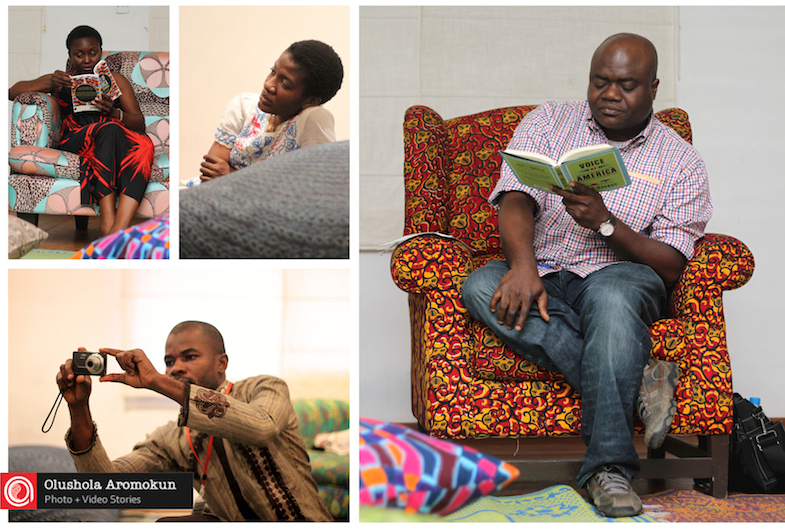 Last weekend’s book readings with E. C. Osondu were fun all the way! The events started on Friday, 22 July at The Life House with a brief biography of E. C. Osondu by the moderator, Abimbola Adelakun. We then listened with rapt attention to the Caine prize winner as he read excerpts of his collection of short stories from his book, Voice of America. Next came the much anticipated question and answer session. E. C. Osondu was barraged with so many questions that there was barely time to take a breath, but of course, he was able to field questions posed to him in his calm way. On Saturday, we moved on to Patabah Bookstore at the Adeniran Ogunsanya shopping mall. The lovely Wana Udobang moderated the event. After reading from his book, the author gave his views on African literature and what inspired his short story collection. When asked questions on his early days as a writer and how much rejection he got, Osondu replied with a smile saying, “I had tonnes of rejections.” The author went on to tell us that though he already had representation before he won the Caine prize, the award “helped in terms of visibility.” Other questions inquired of the author included how he writes, how he handles criticism, how much of his stories are based on reality, if the theme comes before the story or vice versa. Guests got their copies signed by the author, and two lucky people got free copies of the book! Wish you had been there? Well, there will be another reading this Saturday, 30 July at TerraKulture, 3pm. 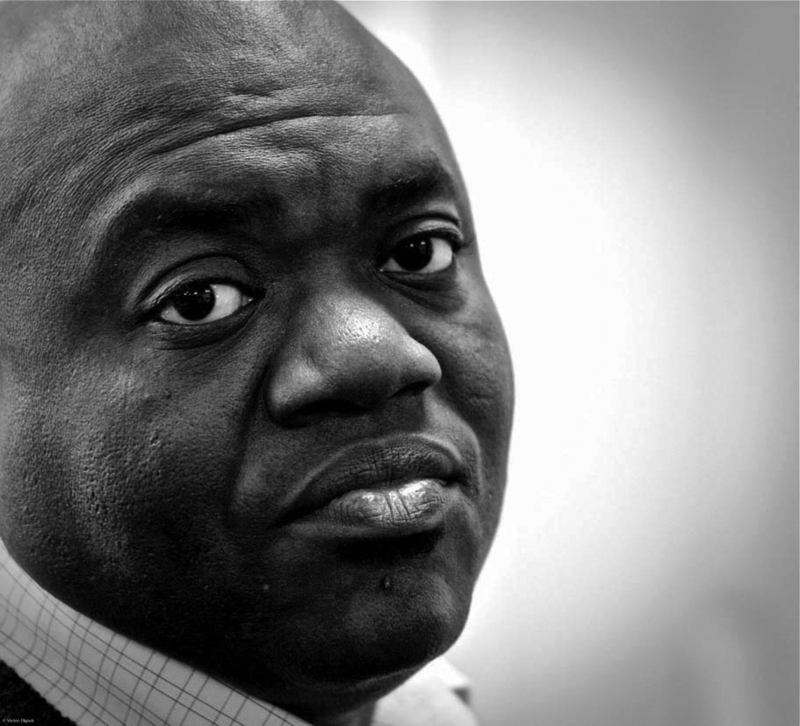 Farafina is pleased to announce a series of book reading by E.C.Osondu. If you are in Lagos and wondering where to spend your weekend, then look no further as we will be at Abule Book Club, The Life House, 33 Sinari DaranijoVictoria Island, Lagos, on Friday July 22 6pm; Patabah Bookshop, Shoprite Mall, Surulere, Lagos on Saturday July 23 3pm and Terra Kulture, Tiamiyu Savage St., Victoria Island, Lagos, Saturday July 30, 3pm. Those of you in Port-Harcourt are not left out. Come relax with us in an atmosphere filled with artistic ambience on Sunday July 24 at Rainbow Book Club, Le Meridian hotel Ogeyi Place, Port Harcourt 4pm. Did I forget to mention there would be free Farafina books for grabs?! Guess you would’nt want to miss it! See you there. ‘’He is very dark, just like you,’’ she said , smiling wanly. What had she expected , that the baby would be white, because they lived among many white people? “It is very unusual, just take a look at this,” the doctor said, lifting the baby’s upper lips. He peered into the little mouth; the baby had a full set of teeth. He grabbed the doctor’s hands; the nurses and attendants were looking up to him like he held the answers and all he needed to do was open his mouth and give them a logical explanation. The father was frightened . An excerpt of E.C. 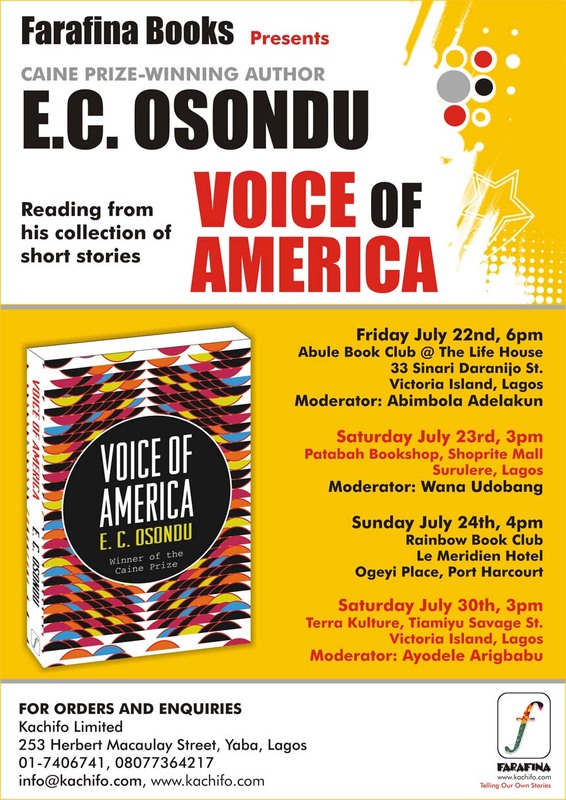 Osondu’s book Voice of America. What would you do if you were this young man? Do you know or have you heard about anyone with a similar story? Aware of the scarcity of online data on modern Nigerian art, we are trying to set up an easily accessible educational resource that can serve as first point of reference for persons interested in learning about it. We think that this virtual museum will give greater visibility to modern Nigerian art. We would like it to be full of images, narratives, links, references, bibliography. To begin with, we have selected a list of 80 artists (from Aina Onabolu to some young artists fresh from art school). As we grow, the list will grow. At present we already have the basic structure of the virtual museum and we are now beginning to include content. We are aware that the success of the project will be largely determined by the quality, extent and accuracy of the material it will contain. For this reason, before launching it, we wanted to ask a few collectors, scholars and artists for help in providing more material and pointing at errors or omissions that need to be corrected. At this stage, telling us what could be improved is of more use that general encouragement or positive words.Though, the web site is not yet operational, you can already see how it will look. As soon as we have gathered enough content and obtained all permissions from artists and collectors we will launch it to the general public. We are in the process of doing both things now. The just concluded Farafina Trust Literary Evening with writers and intellectuals such as Chimamanda Adichie, Jumoke Verissimo, Odia Ofeimun, Eghosa Imasuen, to mention a few, is still making the news. Below is an excerpt of a write up by Bunmi Ajiboye of Next. The Farafina Trust Literary Evening, an event which also doubles as a closing ceremony for the annual Writers’ Workshop, held on July 2 at the Eko Hotel, Victoria Island, Lagos. It was a gathering of writers, intellectuals, and those with more than a passing interest in the arts. Among those in attendance were: Nicolaas Vervelde, MD of Nigerian Breweries which has sponsored the workshop since inception, award-winning writer Chimamanda Ngozi Adichie, pioneer Creative Director of Farafina Trust; and her publisher, Muhtar Bakare. The workshop facilitators included: special guest Njabulo Ndebele, author of ‘The Cry of Winnie Mandela’; Tash Aw; Faith Adiele; Caine Prize winner Binyavanga Wainaina and Adewale Maja-Pearce. The 20 workshop participants were to be awarded certificates for their participation, while a select group of Nigerian writers – Jumoke Verissimo, Odia Ofeimun and Eghosa Imasuen – were read from their works.